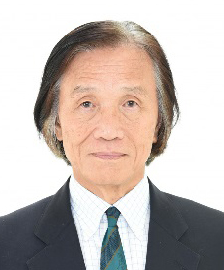 Professor Jiang Chang, Shanghai Institute of Ceramics, Chinese Academy of Sciences, Fellow of International Union of Societies for Biomaterials Science and Engineering (FBSE), Fellow of Royal Society of Chemistry (FRSC), and Fellow of American Institute of Medical and Biological Engineering (AIMBE). His research focuses on bioactive materials for tissue regeneration and tissue engineering and the interaction between biomaterials and cells. Professor Chang has over 380 scientific papers published in international peer-reviewed scientific journals and 70 patents in the field of biomedical materials. Professor Chang is an associate editor of the Journal of Materials Chemistry B, and International Editorial Advisory Board member of Biomaterials. Akira Fujishima was born in 1942 in Tokyo. He received his Ph.D. in Applied Chemistry at the University of Tokyo in 1971. He taught at Kanagawa University for four years and then moved to the University of Tokyo, where he became a Professor in 1986. In 2003, he retired from this position and took on the position of Chairman at the Kanagawa Academy of Science and Technology. From 1st of January 2010, he became President of Tokyo University of Science(TUS). Now he is Distinguished Professor, Director of Photocatalysis International Research Center, TUS. His main interests are photocatalysis, photoelectrochemistry and diamond electrochemistry. Masato Sagawa received his BS and MS degrees in electrical engineering from Kobe University in 1966 and 1968, respectively, and his doctoral degree in Materials Science from Tohoku University in 1972. He joined Fujitsu Ltd. in 1972 as a research engineer, where he began working on magnetic materials for electric relays. He started research on Fe-based rare earth permanent magnets as a private research item and reached to a prototype of Nd-Fe-B in early 1980s. He left Fujitsu in 1982 and joined Sumitomo Special Metals Co. in 1982 and there he filed the first patent on the Nd-Fe-B permanent magnets on August 21, 1982. His awards include: Osaka Science Prize (1984), American Physical Society International Prize for New Materials (1990), Asahi Prize (1990), Japan Magnetics Society Prize (1991), Acta Metallurgica J. Hollomon Award(1998), Honda Kinen Prize (2003), Japan Prize (2012) and NIMS Award(2018). He is working for Daido Steel Co. Ltd. as adviser since October 2016. President, World Academy of Ceramics, Italy; Past President, The American Ceramic Society, USA. Dr. Mrityunjay Singh is Past President of the American Ceramic Society and currently serves as President of the World Academy of Ceramics, Italy. He is a Governor of Acta Materialia, Inc., Academician of World Academy of Ceramics, and Fellow of ACerS, ASM International, AAAS, and NAI. He has received honorary doctorates from Nagaoka University of Technology, Japan and Slovak Academy of Sciences, Slovakia. He is recipient of more than eighty national and international awards including four R&D 100 awards, FLC Technology Transfer Award, NASA Public Service Medal, NASA Silver Snoopy Award, W.D. Kingery Award, John Jeppson Award, Richard M. Fulrath Award, President Award, and James I Mueller Award from American Ceramic Society; Sir Richard Brook Award and Honorary Fellowship from European Ceramic Society; Ishikawa International Carbon Prize and JFCA International Prize from Japan; Jacques-Lucas Award from ASM International-IMS, Distinguished Engineering Achievement Award from Engineers Council, International Dresden Barkhausen Award from Germany, Distinguished Alumnus Award from IIT-BHU, Varanasi and Keramos Award from Poland. In addition, he has been awarded many honorary and distinguished life memberships/ fellowships and honorary professorships from all over the world. Dr. Singh is editor/co-editor of fifty five books and proceedings, seven special journal volumes, author/co-author of fourteen book chapters, and more than two hundred seventy five papers in various journals and proceedings. He has delivered numerous keynote and plenary presentations in international conferences, forums, and workshops, and serves on the advisory boards and committees of more than fifteen prestigious international journals and technical publications.